A case of six one-quart Eco Ultra Oil FlexPaks costs just $29.94 and can be ordered online at http://shop.ecoultraoil.com/. Compared to rigid plastic bottles, the tough Eco Ultra FlexPak is made from 25 percent less material and its innovative spout enables a smooth pour without the traditional "glugs" and bubbles that cause oil splatters and spills. Better yet, Dad will love the high-performance oil inside. Eco Ultra is made from crystal clear, re-refined base oil that's purified and blended with high performance additives to protect his vehicle and the environment. 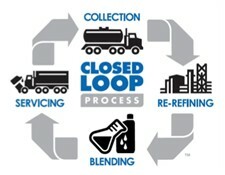 Universal Lubricants' infinitely repeatable closed loop cycle (http://www.ecoultraoil.com/our_process.php) has made it the darling of environmentally responsible consumers by turning a previously non-renewable resource -- used motor oil -- into a renewable one through its re-refining process. "If every American Dad made his next oil change an Eco Ultra oil change, we could prevent millions of gallons of crude oil from being imported," said Jan Horsfall, Universal Lubricants CMO and father of five. 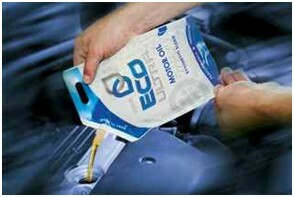 "Our Eco Ultra® (http://www.ecoultraoil.com/) line of sustainable motor oils, engine oils and transmission fluids helps the environment in three important ways: Our re-refining process requires less energy than refining from virgin crude. Products made from re-refined base oil release fewer harmful emissions. And reclaiming used oil eliminates the ground water pollution that results from improper disposal." Because only about 10-15 percent of the 1.3 billion gallons of oil used in the U.S. each year is repurposed, Universal Lubricants is working to make used oil recycling a national movement. Leading into the July 4th holiday, the company is running a national "Great American Oil Change for Good!" Facebook sweepstakes www.facebook.com/ecoultraoil to encourage Americans to declare energy independence from foreign oil imports and spread the word on the role sustainable motor oil has in protecting the environment. If Dad is not a do-it-yourselfer, you can buy him an Eco Ultra® Synthetic Blend Motor Oil change at any installer or service center that carries the product line throughout the U.S. For more information and to learn more about Universal Lubricants' closed loop process visit ecoultraoil.com or call 1.800.444.OILS. Compared to rigid plastic bottles, the tough Eco Ultra FlexPak is made from 25 percent less material. Universal Lubricants' infinitely repeatable closed loop cycle turns a previously non-renewable resource -- used motor oil -- into a renewable one through its re-refining process.